40-200 hp tractors with attachments such as front end loaders, tillers, seeders, disc, grader blades, rock rakes, spray systems, and bush hogs. 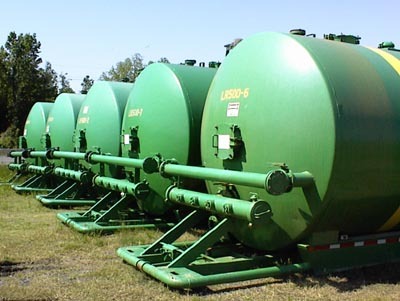 LO-VAC focuses on the transportation of drilling fluids, completion fluids, work-over fluids, and non-hazardous waste. We also assist in the clean up of environmental spills. We differentiate ourselves from others in this market by the professionalism and level of customer service that we provide. We offer vacuum, roll-off, end dump, flat bed, and low boy trailers. Engineering and construction of most anything oilfield and environmental. Frac Tanks - carbon steel and 316 stainless 300-500 bbl with 8" manifolds, round and square tanks.